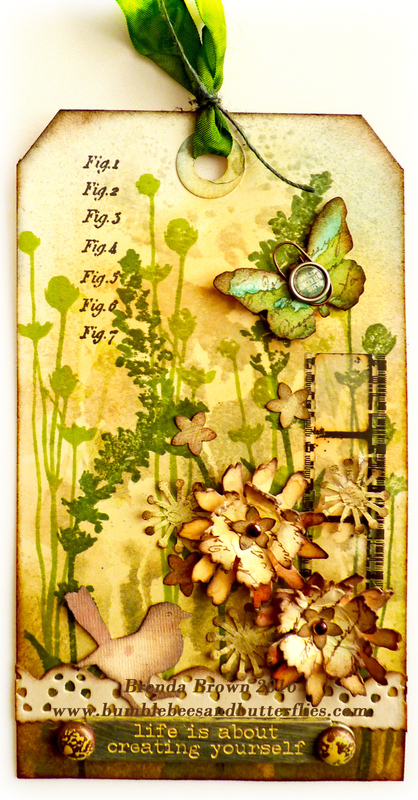 This is another play with the new wallflower stamps from Tim, I loved the wallflower stash and now love these too. 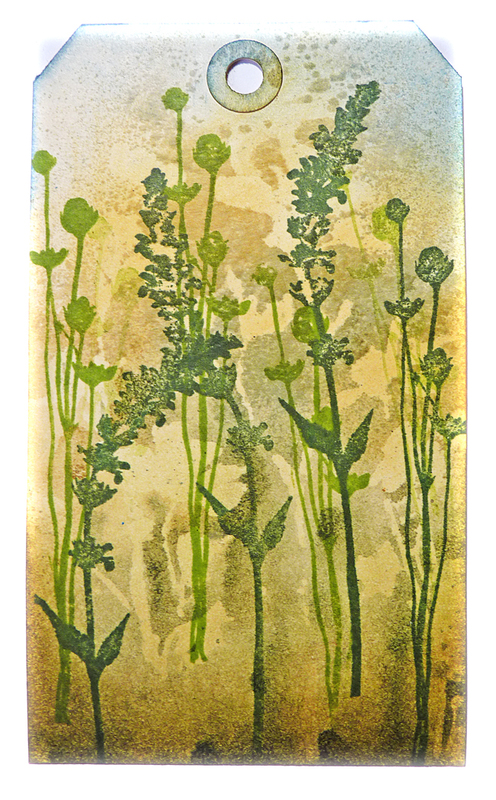 I began by creating a mono print using the wallflower stencil with antique linen and bundled sage distress sprays. 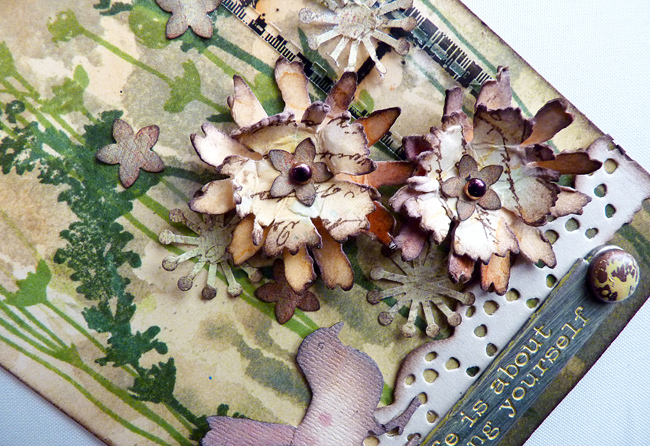 Over the top I stamped two of the flower designs one in olive archival and the other in leaf green. 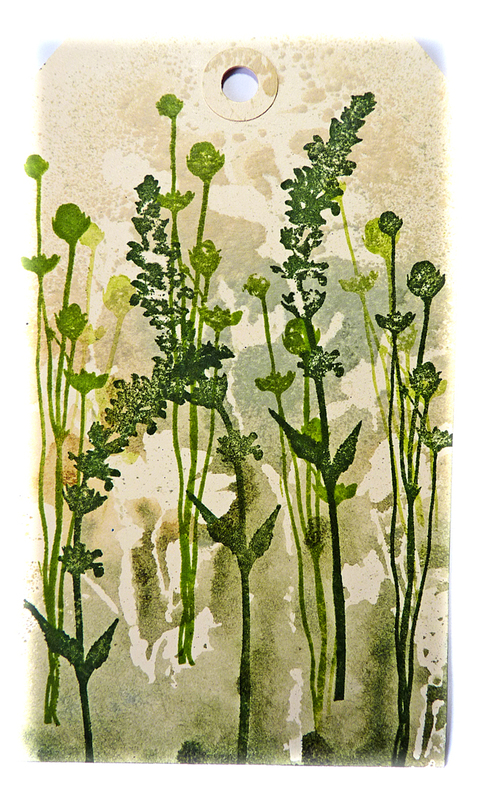 I filled in and deepened the colours by blending antique linen, shabby shutters, forest moss and stormy sky distress inks over different areas. Here you have the final tag once I had added a few more bits and altered some that I had already gathered. You'll never guess who I gave it to??????? If I tell you I made this tag in February - does that help???? Where is March disappearing to? We are nearly a quarter of the way through the year already. I hope you have a great weekend with whatever you have planned. 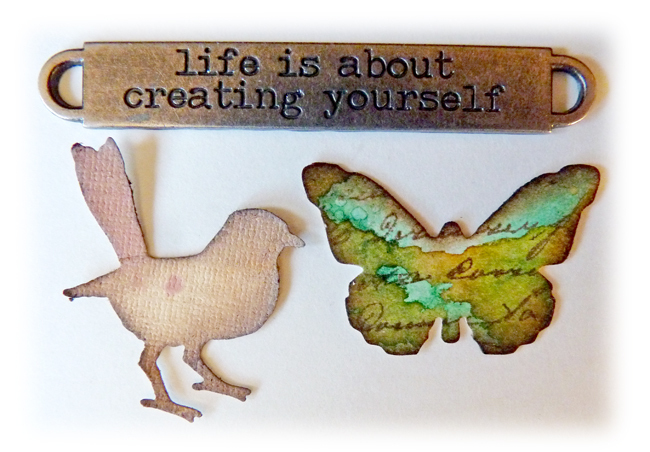 I have almost all of the elements you've used and would love to recreate this fabulous tag! Thanks so much for the great inspiration. Love this nature walk tag! Oh I LOVE this!!! 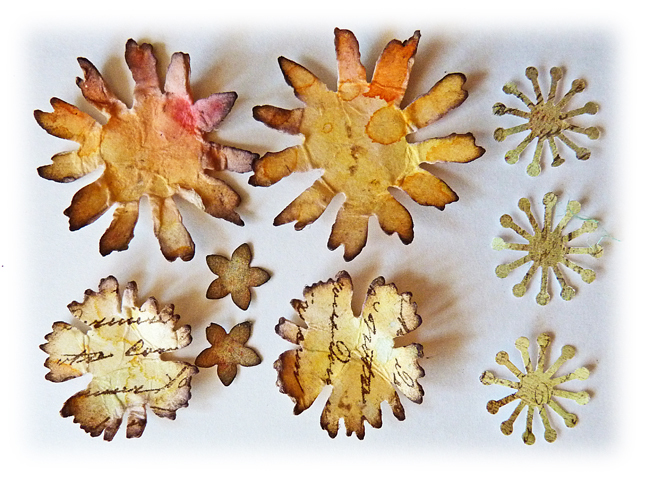 Fabulous use of those wall flower stamps!! Love the tone in tone greens you used and like always. the way you embellished it is just perfect! The flowers made from mop ups look super!! A really brilliant tag!! And is Ken the lucky recipient?? Guten Morgen Brenda, was für ein ausgezeichnet schönes Tag. Da kann ich den Frühling förmlich riechen. 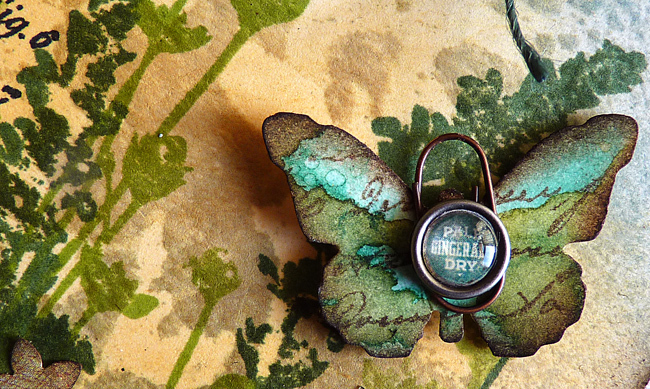 Die Grün-Töne sind so schön, die Schmetterlinge. Eine wunderbare Arbeit mit so vielen feinen Details zum Staunen. I love your design and the quote you used too. I love your tag! The background and all the elements are wonderful! I love this tag, Brenda! Isn't it amazing what beauty is created with leftovers?! 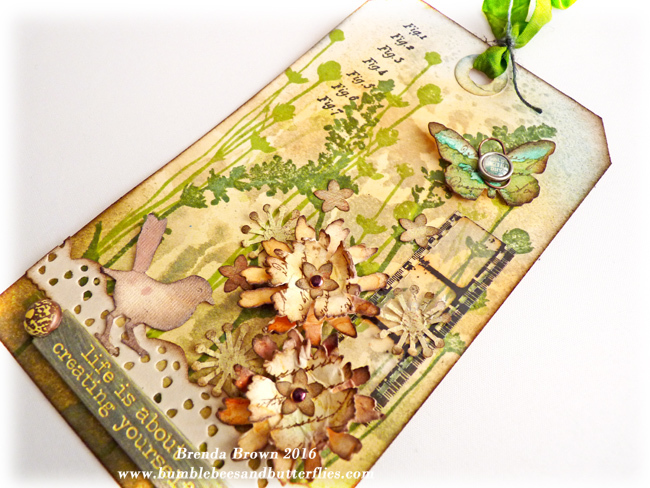 A gorgeous tag Brenda, love the stamps and lovely embellishment details. Pinned this beauty!!! I LOVE every detail!!! Oh dear...I love your ttag. Such lovely techniques to achieve the shamdows. Love the warm colors. Great job dear. You are so talented. Thanks for sharing your lovely art. An absolute delight... so looking forward to having some playtime with my wildflowers one day! Dear Brenda, this is an absolutely gorgeous tag, are you able to include a "pin in" button on your primary photos, so I can put it on my board to refer back to? Thank you for sharing your lovely work. It is very beautiful, all your doings are fab. Amazing depth of colour on this beauty.